1. 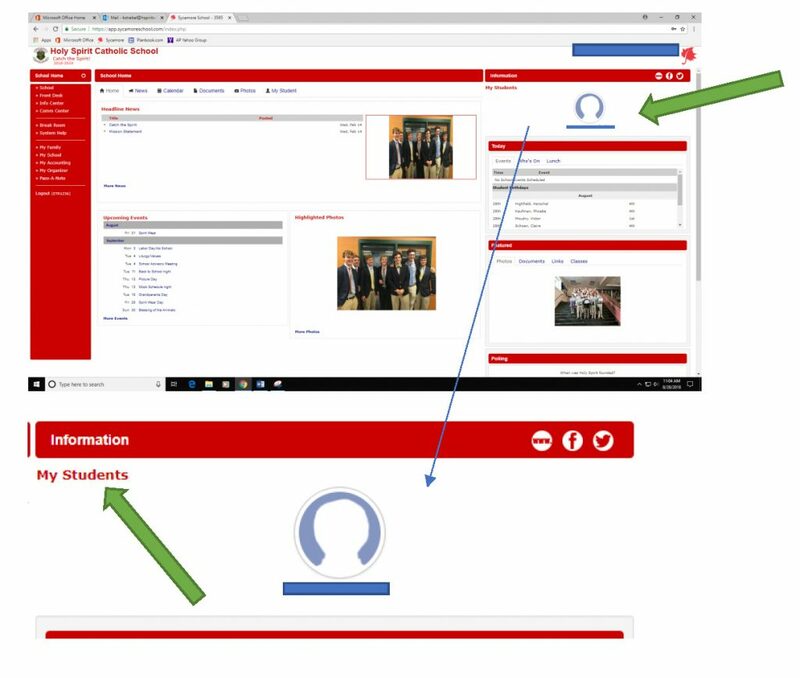 Find your student on the far right of the School Home screen under information. 2. Click on your student. Look at the six options in the rectangle. 3. 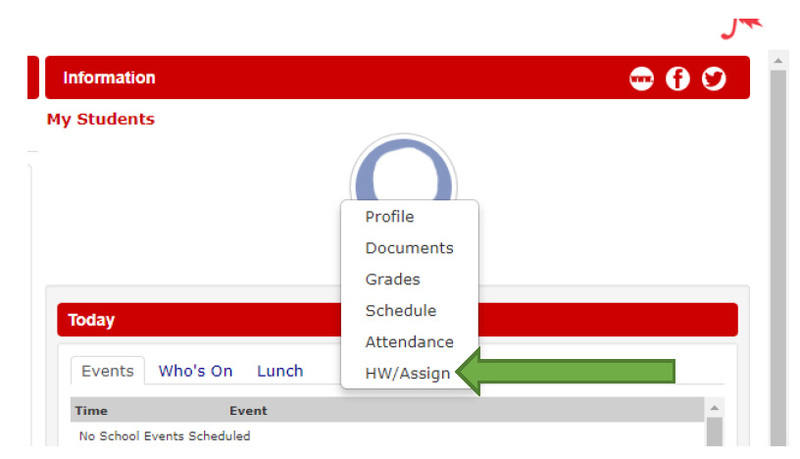 Choose HW/Assign. 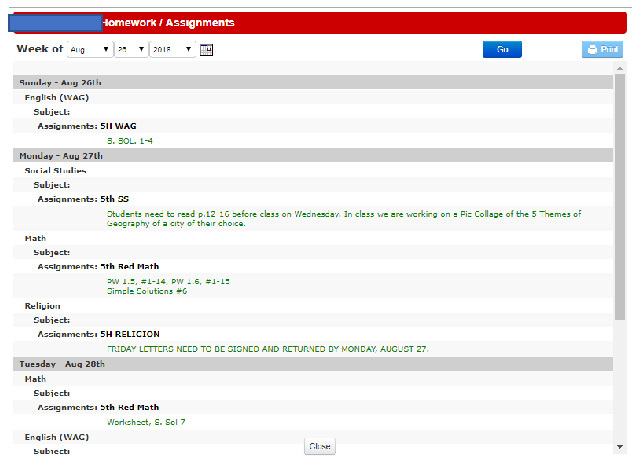 The assignments for the day/week will be displayed. 4. 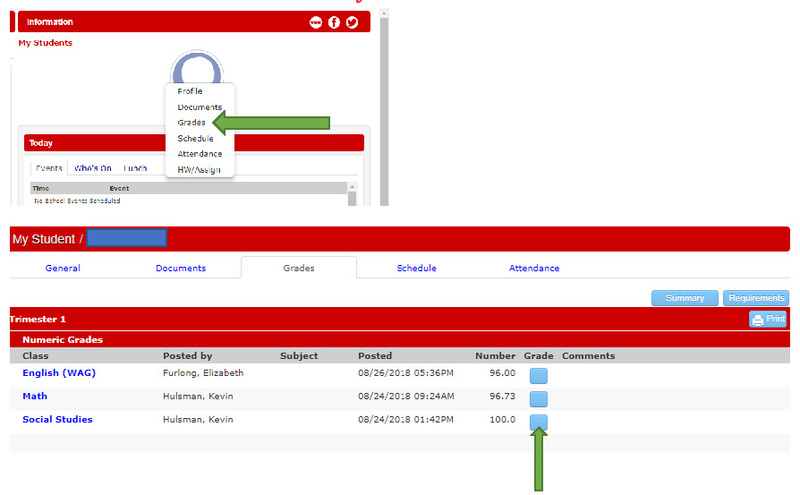 Click on Grades option to see grades for each subject.